ABC: Game 6 of the NBA FINALS had a preliminary 6.3, which was up 0.3 from the early number for Monday’s Game 5. However, it was 0.9 below the preliminary 7.2 for 2014’s Game 6 (which turned out to be the final game of the series). Sunday’s Game 7 will almost certainly be a blockbuster. FOX: BONES fell 0.2 from its last airing to 0.7, and HOME FREE premiered at 0.6. 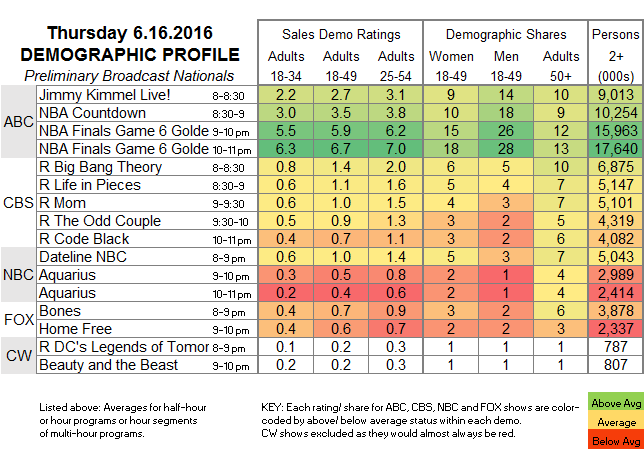 CW: A new BEAUTY AND THE BEAST could only tie its rerun LEGENDS OF TOMORROW lead-in at 0.2, steady with last week for what it’s worth. 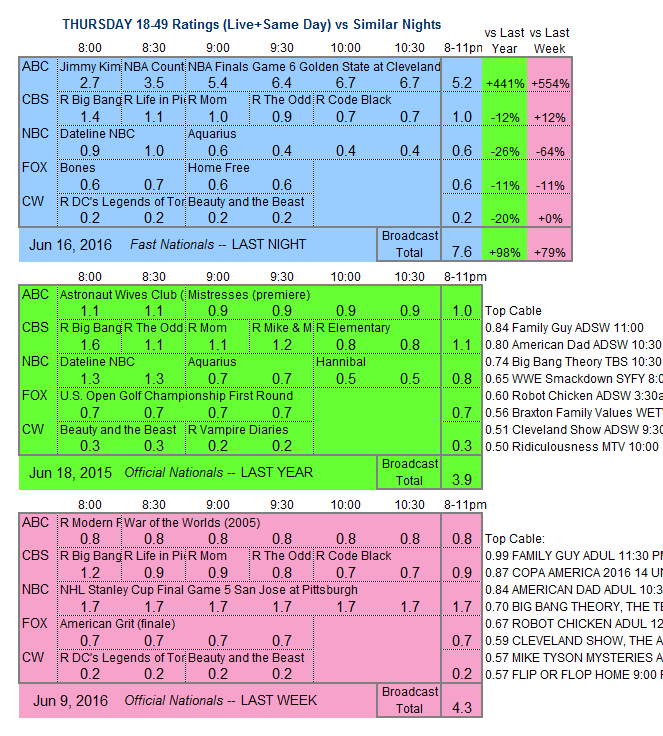 CBS: Reruns, topped of course by THE BIG BANG THEORY at 1.4. The closest thing to a TV highlight tonight is the return of WHAT WOULD YOU DO to ABC, leaving the night free for many to binge the new season of Netflix’s ORANGE IS THE NEW BLACK.